As we took a break on the garden bench, my sister Pickles came up with the answer. It was right in front of us. 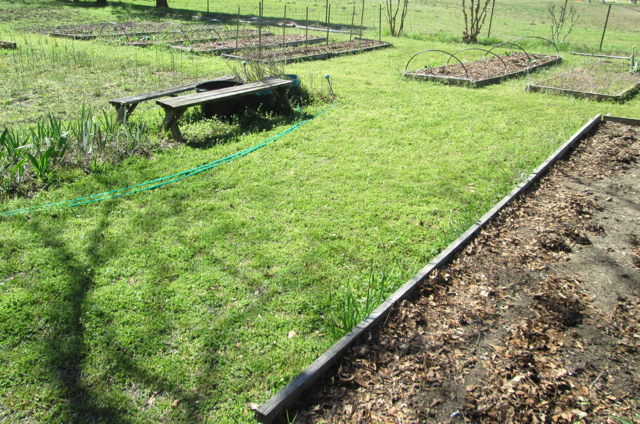 There are two 18' long, 10' wide spaces, one on each side of the garden. 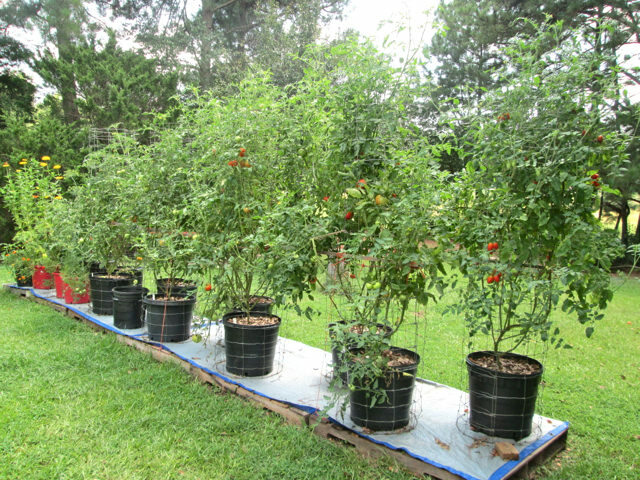 The existence of bacterial wilt and nematodes on the other side of the garden won't allow tomatoes to be planted there. But we can put a line of four 4x4 palettes for buckets in each space on both sides of the garden and still have a 3' walkway on each side of the line. Problem solved. Great thinking! Photos as you fill the space! I do something similar in my backyard where trees do not allow in-ground planting. I have an old ladder that I lay down on the lawn and put old grates over it to place a row of pots on. It doesn't quite kill the grass underneath which almost recovers by the time I do it all over again. Those are 15 gal. buckets but no self-watering. When those tomatoes get sizable they require daily watering. I find that the palettes keep the fire ants from getting into the pots. However, once in a while I'll see a small mound developing next to a palette and it quickly gets doused with a whole gallon of soap mix (1 gal + 1/4c dishwashing liquid). Fortunately there is nothing more dangerous than sugar ants in my yard! It's been an eye opener reading about all the things southern growers have to deal with. Yesterday afternoon Pickles and I went to my secret source and got more free pallets and 8' long 1x1's, 1x2's and 2x2's from their "to be burned" pile and a few more 15 gallon pots. There will be enough pallets to replace some older ones from last year and also set up the additional tomato area down in the garden. 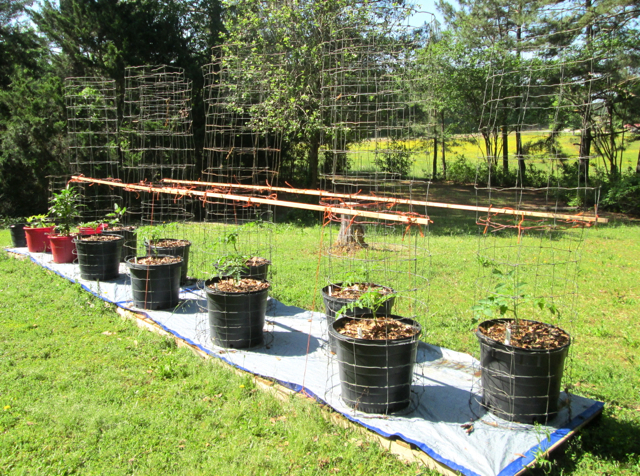 The poles get used for all kinds of stakes, trellises, etc.